Who doesn't love a good New Year's Eve party with family and friends? Get your kids involved in the festivities by making a few of these NYE crafts. Make these projects in the days leading up to NYE or make them the night of! This is a simple project with a really big impact! Kids of all ages will love creating this fun balloon clock countdown for NYE. This is a perfect craft and activity for those little ones that can't make it until midnight. It's glittery, slimy, and tons of fun! If you have old paper tubes lying around you can easily complete this craft for New Year's Eve. No real fire for these stamped firework kids craft. Make a pop with these DIY confetti poppers you can make with your kids. These are perfect for popping around the house when the clock strikes midnight. 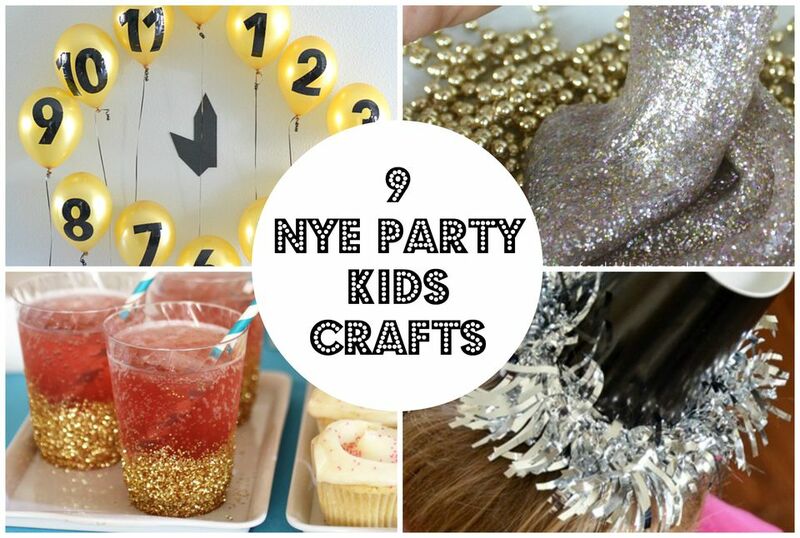 Your kids will love crafting their own NYE hats to wear for the party. These are easy and take no time at all to complete. You'll need black paper cups for the main part of the hat. Get your kids excited about goals, resolutions, and the new year with this simple resolution printable. Help them choose a couple of reasonable goals to work towards and a reward at the end. Use silver and gold pipe cleaners to make festive sparklers that won't burn little hands. Your kiddos can craft and play with these all night long. These glitter-dipped cups are beautiful and super easy! Help your kids dip the cups into the glitter. They will love drinking sparkling cider out of their handmade glitter cups.